Eva and Victor, a young Brookline couple, absolutely loved their recent 2-week adventurous stay in Ecuador. This was Eva’s very first experience with Latin America – the birthplace of her husband. She was very happy to share her immediate impressions. Ecuador is definitely one of the most amazing and diverse places I have visited so far! Flawless tropical beaches along the Pacific coast, breathtaking wild vegetation, large banana plantations, snowy tops of mysterious high altitude volcanoes, rainforest and its incredible creatures. All this on a relatively small area divided by the equator. The fact that the country is not very big made the whole trip easier and even more interesting. 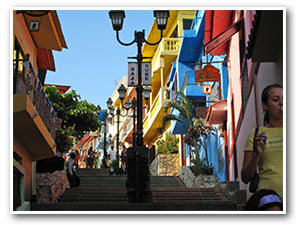 Our first stop was Guayaquil – the largest city and an important port filled with the hot coastal spirit. Many parts of this place have been recently renovated and turned into beautiful tourist attractions. We thoroughly enjoyed our afternoon walk at Malecon 2000 along the river Guayas where we admired tastefully designed exotic gardens that provide an ideal place for family relaxation. Another impressive location was Santa Ana Hill – a historic neighborhood of reconstructed residential buildings, cozy cafes that play local rhythmic music and little souvenir shops. The weather was great and we could not stop taking pictures. I was shocked to see all the wildly growing scheffleras and crotons anywhere - the plants that I treat with so much special care at home in our apartment in Brookline. 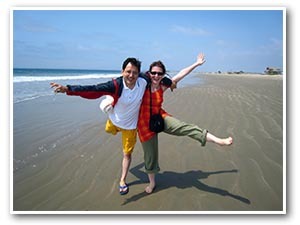 We also spent a couple of days by the Pacific Ocean where time does not matter so much and nobody seems to hurry. 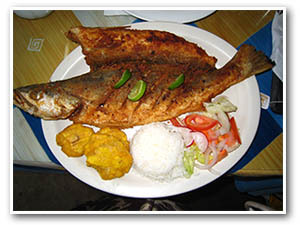 In Manta I recommend trying a just caught fried fish called “corvina” and a traditional “cazuela” soup. Montañita – an off beat peaceful village with the best waves for surfers and the happiest & friendliest dogs and of course a virgin San Pablo Beach. old parts of the colonial Quito are also a must. I could not help myself spending a lot of time looking at the local art & crafts made by the native Indians. I need to mention that it was a very interesting feeling to see the line that separates the southern and the northern hemisphere at the Quito “La Mitad del Mundo” monument. 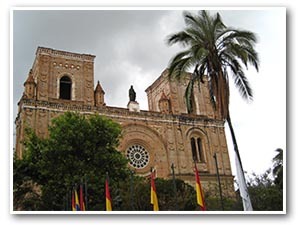 Well, and the last but not least – the Athens of Ecuador: Cuenca. Cobblestone streets, many well preserved churches, cathedrals and a lot of rich history. This place is listed as a UNESCO World Heritage Trust site and now I understand why. ......and our next travel destination will be Galapagos!